Make a logo in a jiffy without any designing skills. Bonus for our readers: At the end of this article, you will find a discount coupon code to get up to 80% OFF on premium packages on DesignEvo. If you’re looking to get things done by yourself, an online logo maker can help you with that and save you the hassle of hiring a professional to design a logo. DesignEvo is one such web-based logo maker that may help you to create the logo of your dream. DesignEvo is primarily a free online logo maker which offers some premium plans as well. If you’re looking to generate a logo for an in-house project or an academic presentation, you may go ahead and use any of the online logo making tools like DesignEvo. However, if you’re curious to make a logo for your business or an existing brand, we’ll recommend you to read our review first before making a decision (So, sit back, relax, and enjoy!). In this review, we tried the free plan and the “Plus” plan. So, let’s jump into the details. Free plan: The maximum resolution of the logo will be 500 x 500px and you do get an option to either download a PNG/JPG file. For most of the users who want to utilize a logo on the web, you may opt for the free plan. In this plan, you can’t re-edit and download, and you also do not get the PNG file with a transparent background. Also, you need to give credits to DesignEvo when using the logo. Basic: The basic plan costs you a one-time fee of 19.99 USD (i.e one logo). If you create a logo with the basic plan, you get a high-res (5000 x 5000px) PNG file with a transparent background. In addition to that, also get the ability to re-edit the same file and download it again. Plus: The plus plan costs you a one-time fee of 39.99 USD. It provides the same set of features as you’d find in a basic plan and more, like the ability to download vector PDF and SVG files, which are commonly print-ready because of the image quality. You can head to their official website to know more about the pricing plans. We’ll take a brief look at what it offers and if it’s worth trying out. It features pre-made logo templates which you can modify or you may choose to start from scratch. DesignEvo features all the essential features required to make a perfect logo. But, you really can’t make a good logo if you don’t get to customize it as per your preference. Well, DesignEvo does not disappoint you in this case. It lets you customize the font, the color (solid/gradient), spacing, curve, opacity, shadow, background, and the layout. It has everything you’d normally need to personalize your logo. We were pretty satisfied with what it had to offer. It is a web-based tool, so the user experience definitely matters. If it’s not easy to use, it would be pointless to use it anyways. 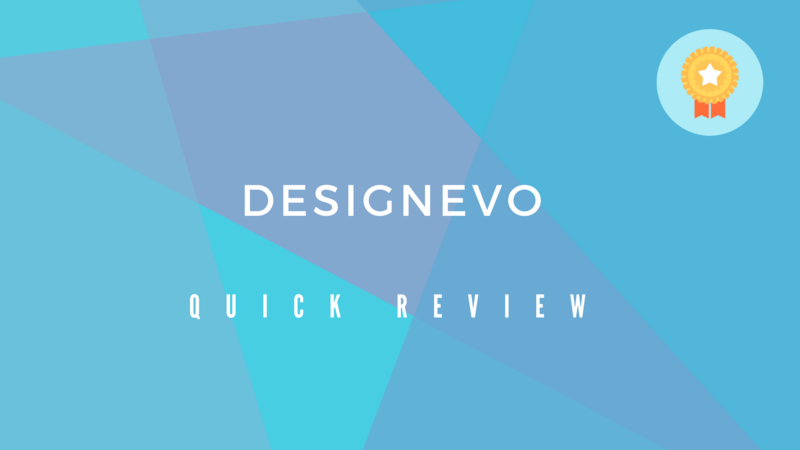 In this case, we observed a near-to-perfect user experience while using DesignEvo for the review. So far, we haven’t noticed any caching issues (or any other web browser related issues) that might hinder the logo creation process. The image quality, file size, and the file extension type matters when downloading a logo to use – no matter if it’s for a commercial business or a non-commercial one. You don’t want to repeatedly export a logo like a chicken on amphetamines while using a tool like Adobe Illustrator or any other – to make a logo. So, DesignEvo makes it easy for you by delivering the best possible image quality when you download the logo (also depends on what plan you’re on). If you’re creating a logo for free, you won’t get a super high-res logo but it should be good enough for web-usage. The image quality of the logo is fantastic. If you’re planning on choosing a basic or plus plan, you will get a very high-quality logo that you can utilize for almost anything (T-shirt branding, Notebook branding, merchandise branding, business card, and as an office wall vinyl). You won’t be needing to compress the logo file for web-usage, it’s already the optimal file size for a logo. You get both PNG and JPEG files for your logo – with an exception of transparent background for PNG files in the free plan. 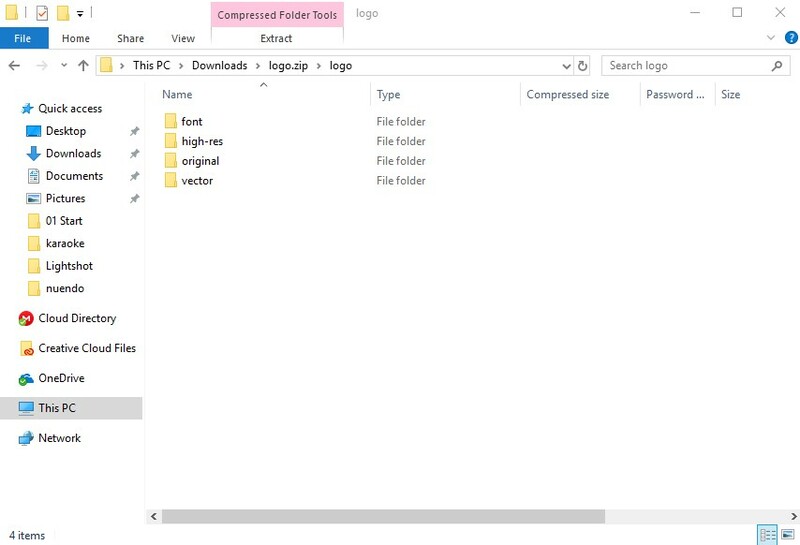 For plus subscribers, an SVG file and a PDF file is included in the downloaded zip file. While it may not give you the ability to upload your own icons/shapes, it does offer the essential set of features to make a great logo from scratch (or you can utilize the ready-made logo templates as well). Also, considering the fact that most professionals charge a minimum fee of $100 for a logo, paying 39.99 USD at DesignEvo for a logo that you’ve made as per your personal preferences – is worth it! Now, what do you think about the web-based logo maker – DesignEvo? Did you give it a try? Let us know your thoughts in the comments section below! For our amazing readers, we have a coupon code "DEP2FF1M" to get up to 80% OFF on premium plans while making a logo. Go craft some logos! It is indeed an impressive online logo maker! Read on to know the details! Thank Ankush Das For sharing this great tool with us. I will use this tool to create logo for my Brand.